Many fears accompanied the announcement of 6 new D.C. stores by the discount retail titan Walmart. Critics have cautioned the big-box store offers only low-paying wages and the destruction of local small business. In an attempt to calm those fears, Walmart laid out a "community partnership initiative," a list of steps that the retailer says it will do to reach out a hand to the local community. In the construction phase, Walmart says they're aiming for 35 percent of the subcontractors used on the project to come from locally. The company also says it will build transportation infrastructure around the new stores, like Capital Bikeshare stations, bike racks, and bus shelters. The total value of these new projects will be around $2 million, according to the plan. Walmart says they will support District programs that help to educate and employ D.C. residents. The retailer also says it will work with D.C. government to identify qualified local recruits. But they stop shortage of putting a concreter number down for the percentage of local workers they may actually hire. Once the stores are built, Walmart says it will try to provide space for locally-sourced products, and will pursue local retailers to provide services in the stores, like coffee vendors. "Any intentions or commitments contained in this document are subject and contingent upon business conditions that will continue to ensure a productive relationship with the city and its residents." 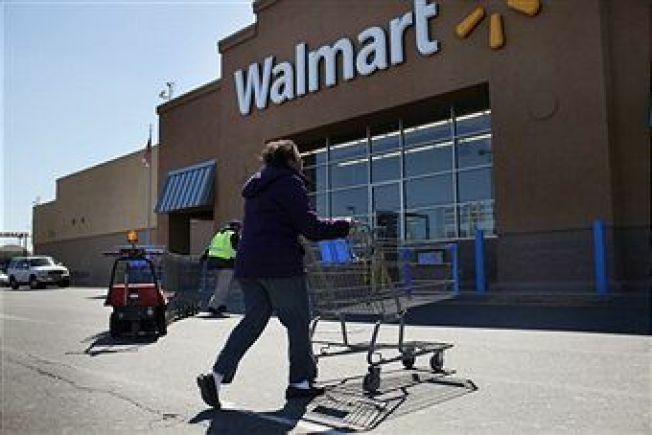 So if Walmart prospers and hopefully sticks with its pledges, the city also stands to prosper. But if its business goes sour, all those rosy pledges for local job support could go out the window.